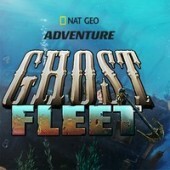 Travel the world and explore breathtaking underwater scenery while solving the mystery of your missing father in this National Geographic inspired hidden object game. 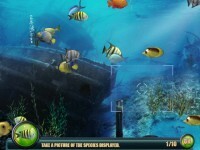 Play through this new and exciting hidden object game from the minds at National Geographic. Become a National Geographic Explorer as you try to unravel the mystery of your lost father. 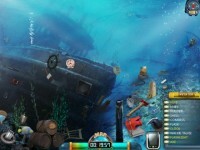 Utilize real life diving equipment and techniques to help reveal clues along the way. As a National Geographic Explorer, do you have what it takes to solve the mystery of your missing father and rescue him before it's too late? 14 Different Ships and 10 Unique Mini Games! Over 1,000 Items Included Allowing Endless Replayability! Voice-Overs Provided By National Geographic! 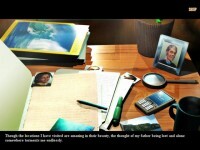 As a Nat Geo Explorer, can you solve the mystery of your father's disappearance? 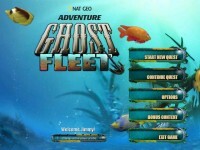 Tell someone about Ghost Fleet Game!